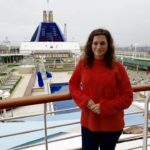 I was recently invited on board Royal Caribbean’s Independence of the Seas in Southampton, for a day of fun in the sun with fellow travel and lifestyle bloggers. 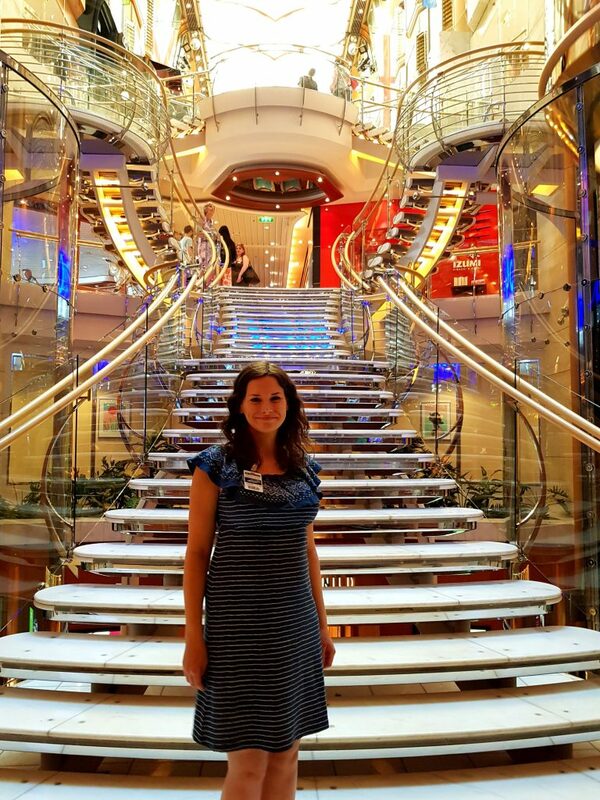 I’d been itching to have a look around a Royal Caribbean ship for a while, having heard a number of really positive things about the cruise line. ‘Indy’ (as she is nicknamed) has an incredibly loyal following and recently underwent a multi-million pound refurbishment, so I wanted to find out more about her. 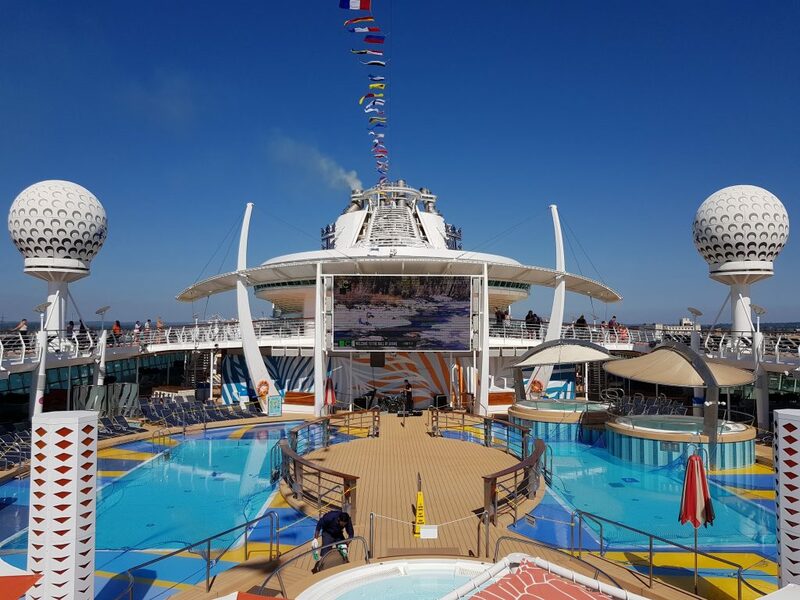 If you’ve heard of Royal Caribbean then you’ll know their ships are famed for their family-friendliness, fun activities and innovative technology. Independence of the Seas fits this perception perfectly. 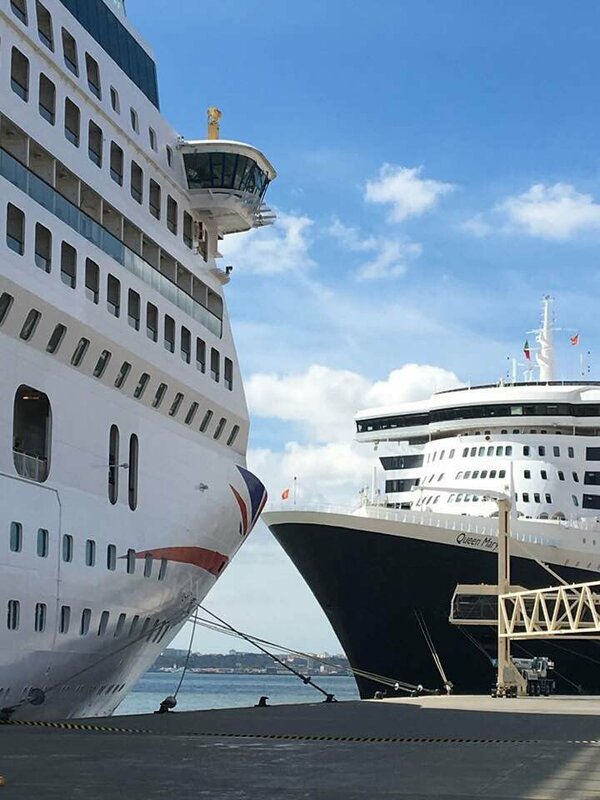 We boarded the ship at City Terminal in Southampton, the ship’s regular summer turnaround port. From the quayside Independence of the Seas looked enormous and to date she is the biggest cruise ship I have been on. 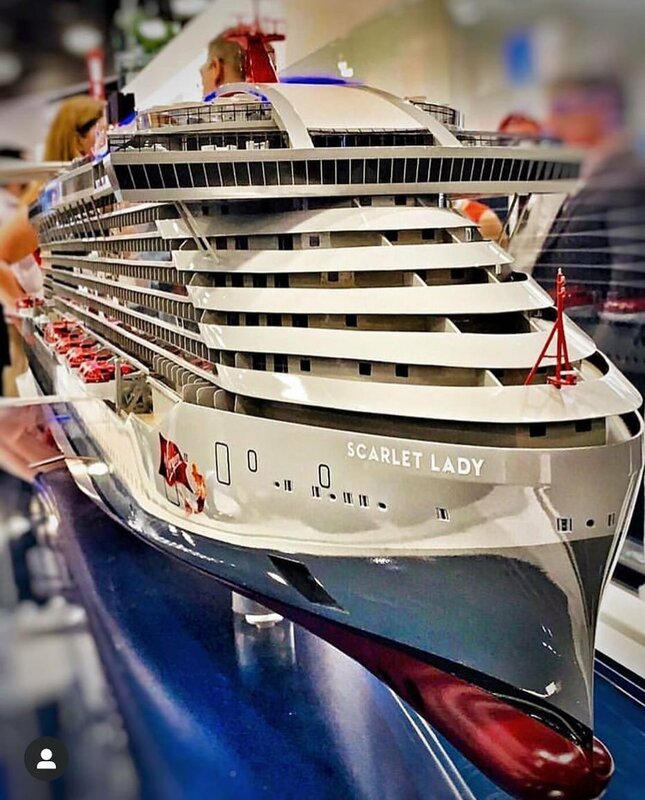 Her measurements are impressive – 154,407 GRT, 185 feet wide, 1,112 feet long, 15 decks and a cruising speed of 21.6 knots. Launched in 2008, she carries 4,560 guests and 1,440 international crew. Splashaway Bay – a fun and colourful mini aqua park suitable for young children. This replaces an area formerly known as the H2O Zone. 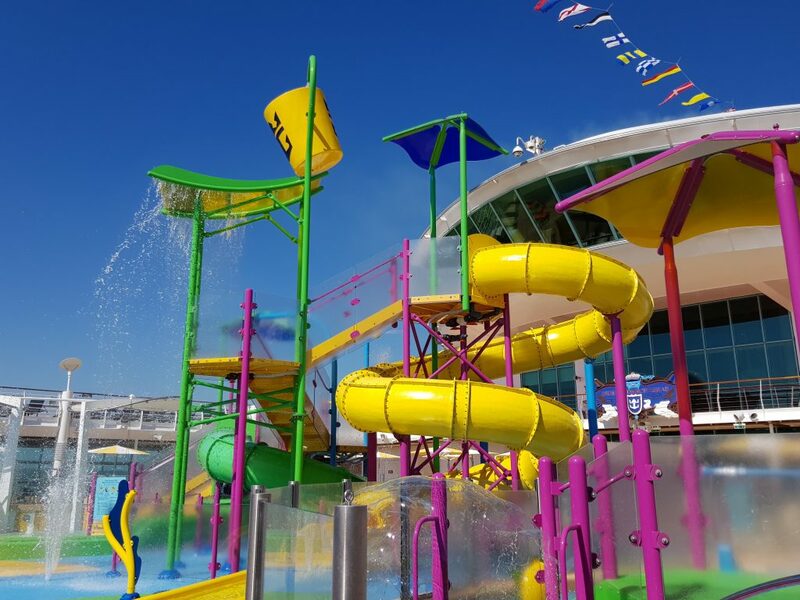 On Deck 11, you’ll find Splashaway Bay at the aft end of the ship – a colourful aqua park aimed at young children. Kids will be entertained for hours with slides, waterfalls, splash pools and water cannons. Around the aqua park parents can sit and relax on sunbeds, grab some food at Fish and Ships or an ice cream at the free ice cream station. This is the ultimate family space so it did get busy with guests in the afternoon. But there were always plenty of free sunbeds. 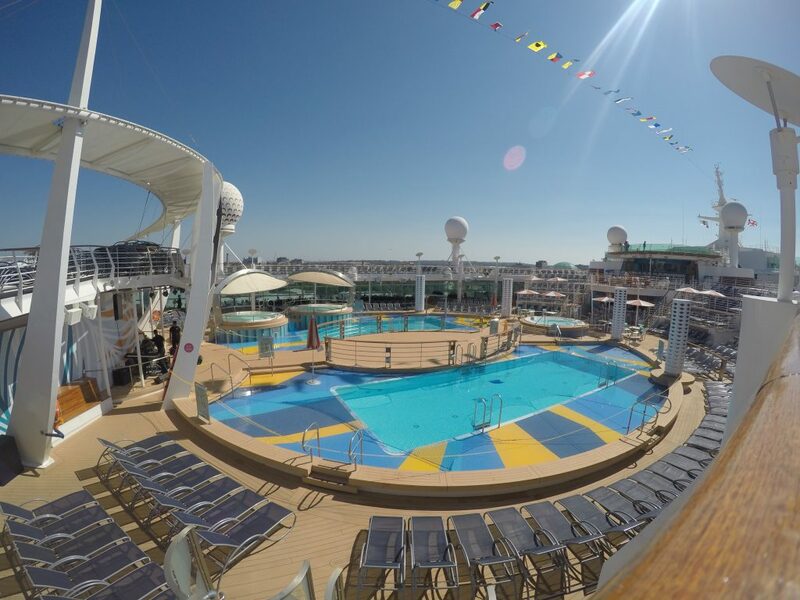 The two main swimming pools – Resort Pool and Sport Pool – can be found in the midship section of Deck 11. There are three whirlpools and two are protected from the sun by a canopy, which I really liked. Sunbeds line the edge of the pool, whilst seating can be found in shaded pockets on the far sides of the deck. There is a bar that services the pools and the area is very lively as music is played throughout the day. There is a large outdoor screen overlooking the pools, which shows movies. 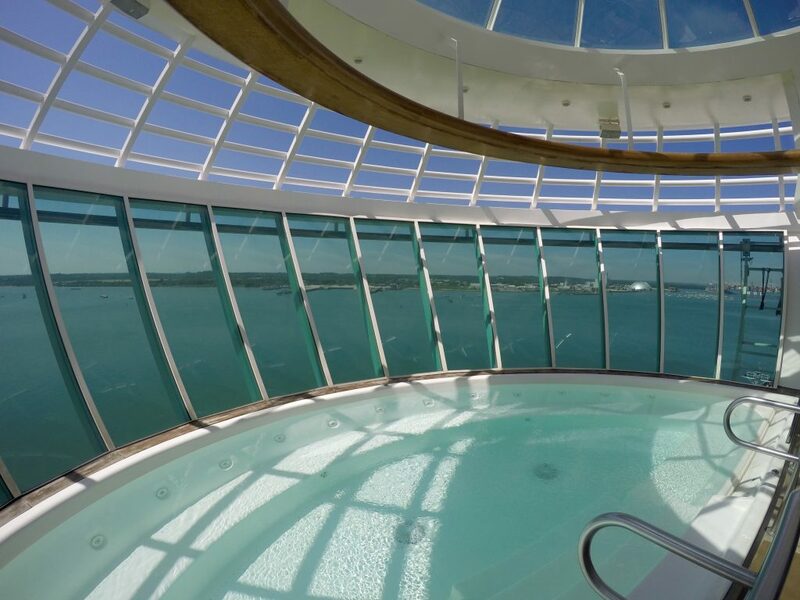 The forward section of Deck 11 houses the Solarium, an indoor-outdoor adult area with a small pool and two extra large whirlpools, which overlook the sea. Although the pool is compact, the space is quiet and relaxed. It was great to see lifeguards on duty at each of the swimming pools, as not all cruise lines use them. 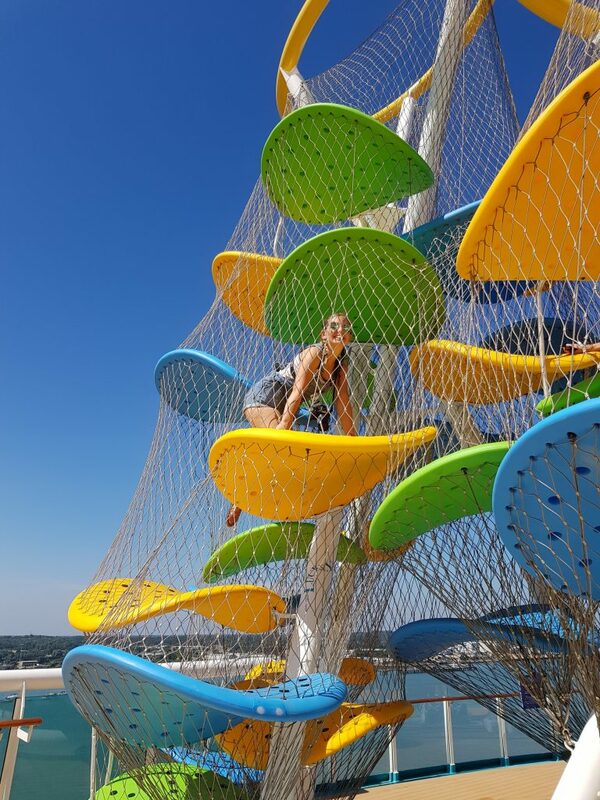 At the aft end of Deck 13 (yes there is a Deck 13), you’ll find the majority of the larger outdoor activities that Royal Caribbean are well known for. 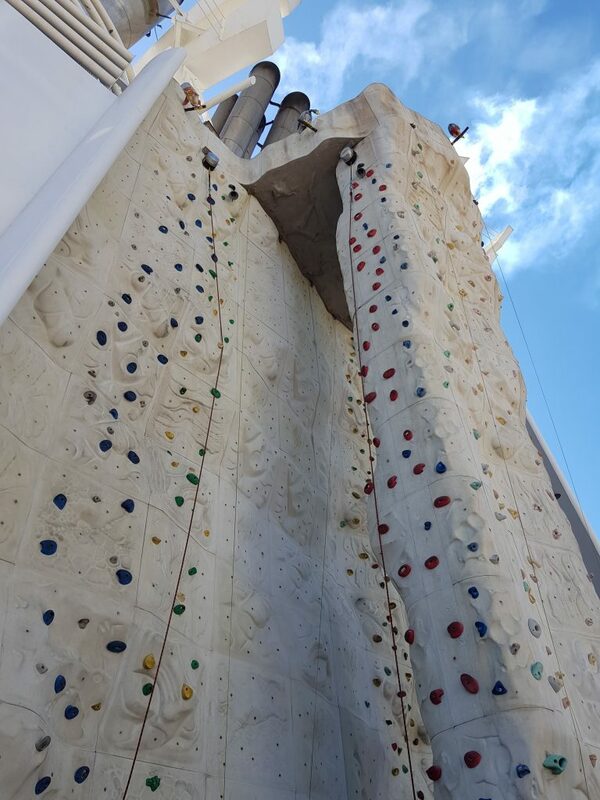 This includes the Skypad, the FlowRider (see the video below), climbing wall, sports court, The Perfect Storm waterslides, Sky Climber and hammocks. 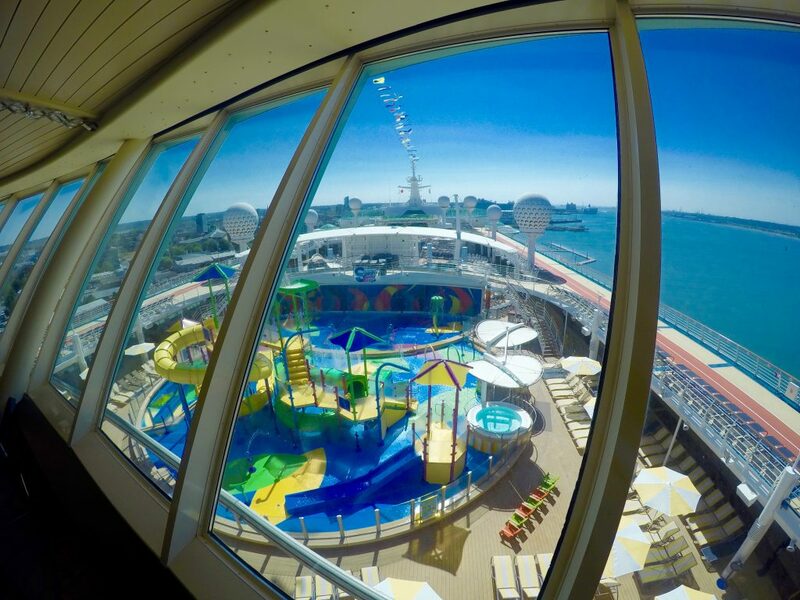 If you like being active, then you’ll love this part of the ship as there’s something for everyone, whatever your age. The FlowRider was the most popular activity when I was on board, but it was a turnaround day for the ship. For those of you who are unfamiliar with it, the FlowRider is basically a giant wave machine. The aim is to stay on the board for as long as possible without falling off. Which is easier said than done! I didn’t try any of the activities, but they did look fun. I particularly liked the look of the hammocks, which offered a nice alternative to sunbeds. We didn’t get to see the main restaurant unfortunately, but I can tell you a little bit about it. Spread over three decks, it is named after three of William Shakespeare’s most famous plays: Romeo and Juliet, Othello and King Lear (a different name per deck). All three decks are open for dinner, but during the day you can only eat in Romeo and Juliet. Guests can dine flexibly in King Lear in the evening anytime between 5.30pm and 9.00pm (called My Time Dining). Alternatively you’ll find fixed dining options available in Romeo and Juliet and Othello (6.00pm, 8.30pm). If you want to choose My Time Dining, then you need to either pre-book it or notify the ship the day you join. This vast buffet area boasts an array of international cuisine including sushi, pizza, pasta, salad, sandwiches and burgers. There are sinks for washing your hands when you walk in, and two of the speciality dining restaurants can be accessed just before you enter the main section of Windjammer Market Place. Seating stretches all the way round to the back of the ship. 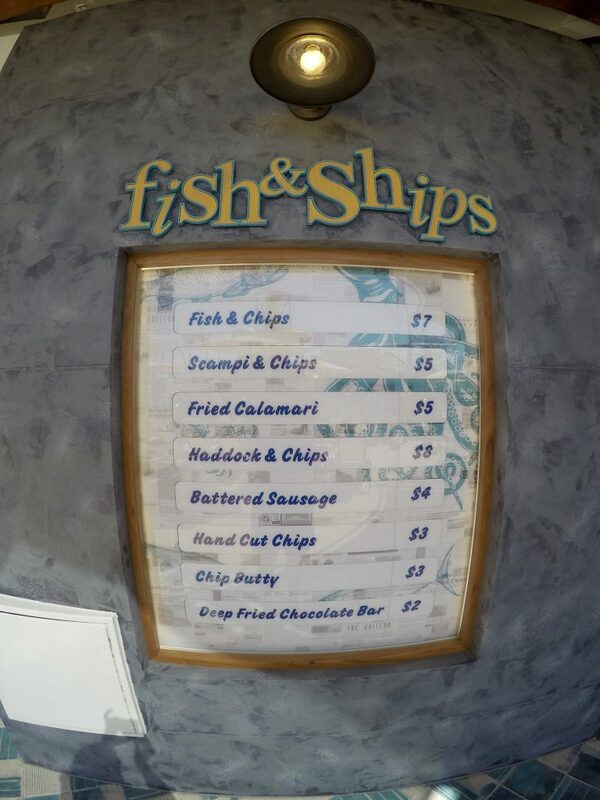 Situated on Deck 11 this is a new addition serving an array of battered fish, calamari, scampi and other fishy treats. There is a supplement for each item. 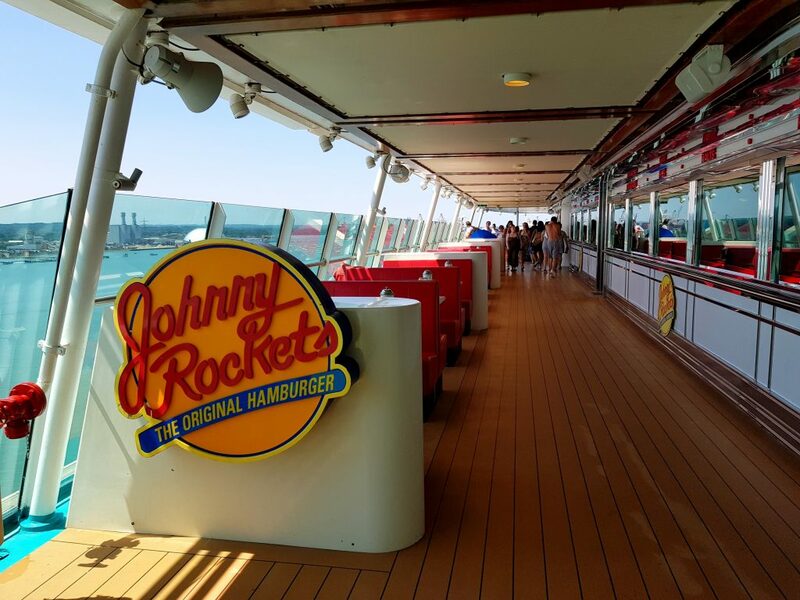 There is no free poolside grill on Independence of the Seas but the closest thing to a burger bar is Johnny Rockets American-style diner on Deck 12, which opens from noon until midnight (a $9.95 supplement applies). 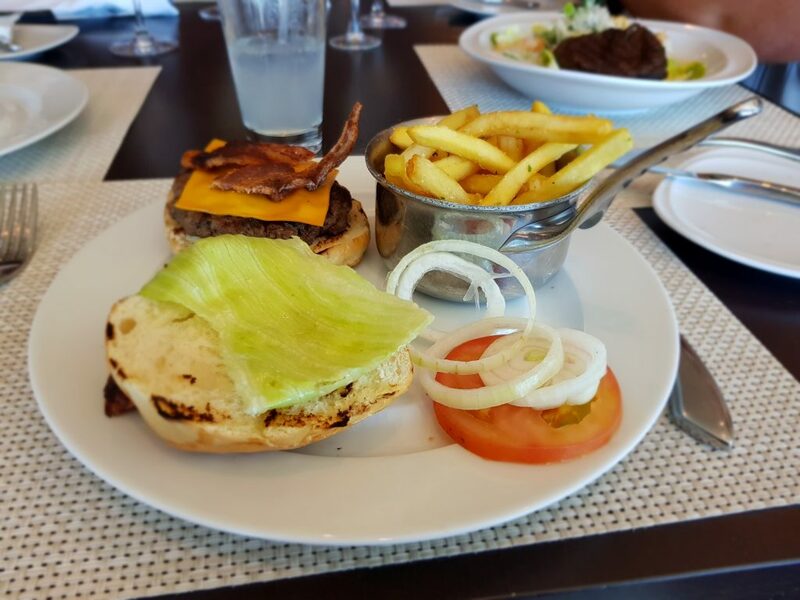 It serves a mouth-watering selection of burgers, hotdogs, shakes and desserts. 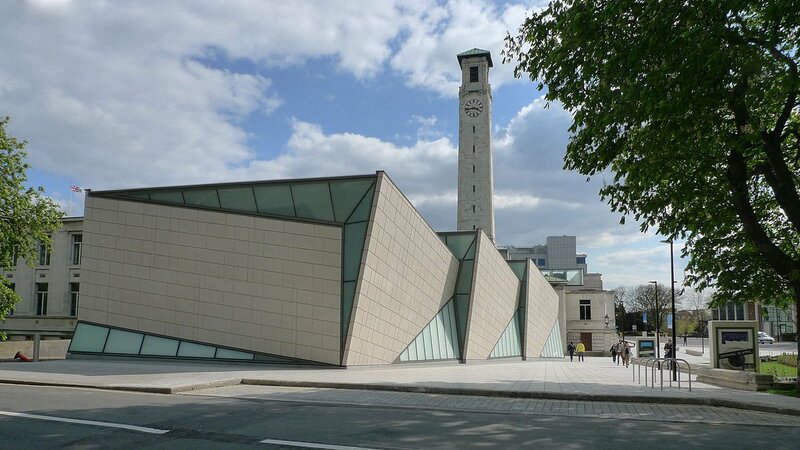 Situated along the Royal Promenade, this is the place to go for antipasti, paninis, delicious desserts and, of course, pizza. It’s open until 3.00am and can be enjoyed whatever the weather and there is no charge for the food. Open 24-hours a day, this café offers coffee, tea, sandwiches and sweet items. Food and basic coffee and tea are complementary but there is a charge for speciality items. Sugar Beach Candy and Ice Cream Store and Ben and Jerry’s Ice Cream are the places to go to stock up on sweet treats (Royal Promenade). 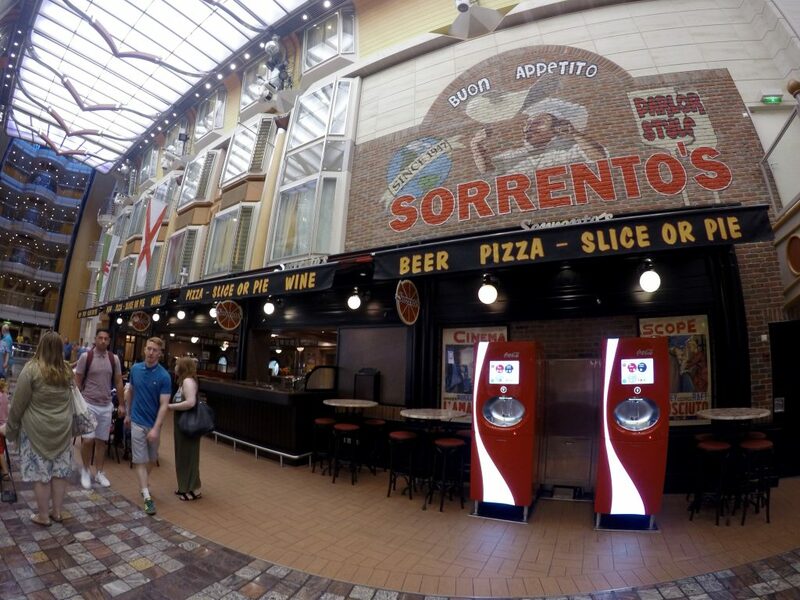 Alternatively there is a free self-serve soft ice cream station opposite Fish and Ships on Deck 11. A $7.95 supplement is charged for room service but continental breakfast is free. You’ll find an example of a room service menu here. Another new addition to Independence of the Seas is this trendy Hibachi restaurant on Deck 4. Expect lots of theatrics from the chefs as guests dine together in raised seating areas. 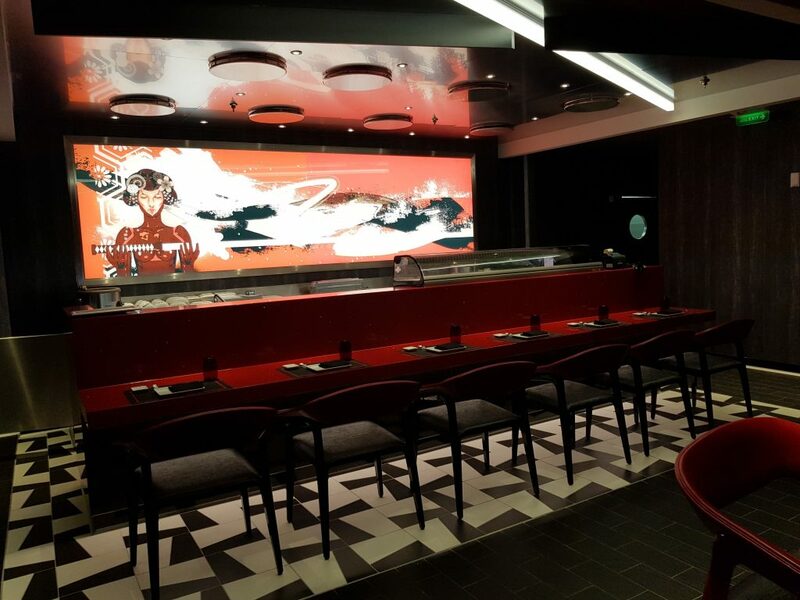 You can enjoy dishes such as beef or chicken Teppanyaki, sushi and mochi ice cream. Prices start at $39 per person, but there are additional charges for certain items. This steakhouse is where we ate lunch. For dinner a $35 supplement applies. 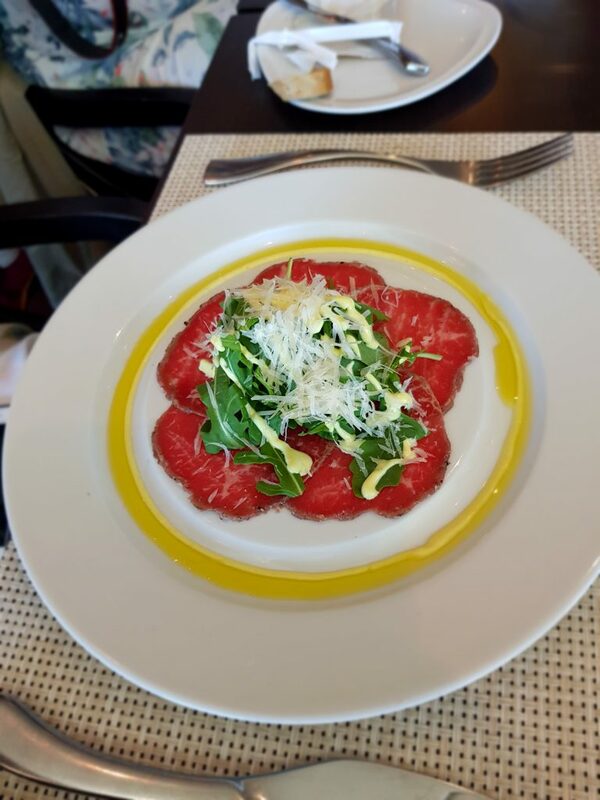 Lunch options included mushroom soup, beef carpaccio, Caesar salad, steak, roasted half chicken and salmon. The mushroom soup was particularly delicious. The staff were friendly and the food arrived quickly. There were quite a few things on the menu I would’ve eaten ordinarily, but as I am pregnant I was slightly restricted with my choices, so I opted for the soup and the burger. Open from 5.30pm-9.30pm this Italian restaurant offers up hearty fare in a relaxed setting. 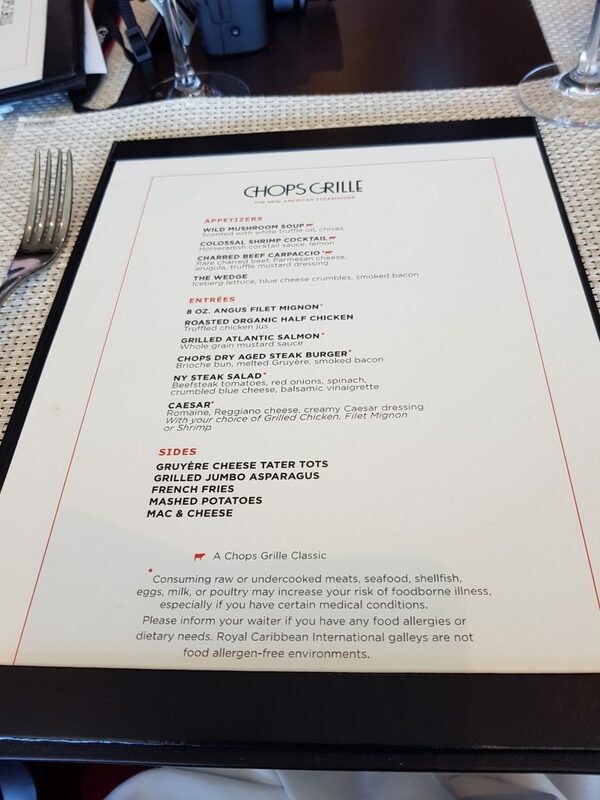 Situated opposite Chops Grille, a $29 supplement applies. I didn’t go inside as there was a private function on. This exclusive dining option is perfect for fans of gastronomy as gourmet fare is paired with fine wines. The chef prepares each of the five courses and explains the techniques behind each one. An $85 supplement applies. 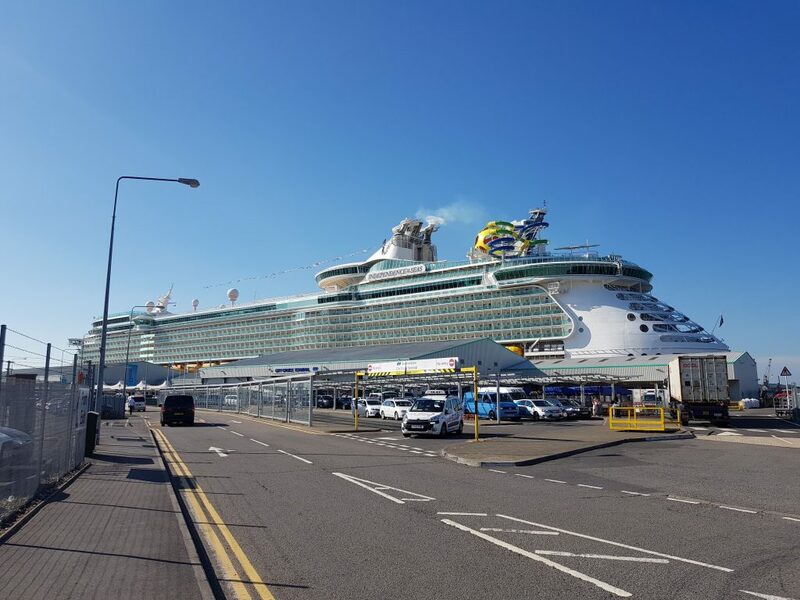 All prices have been taken from the Independence of the Seas Cruise Compass newspaper (dated 30thJune 2018) and prices may vary from cruise to cruise. 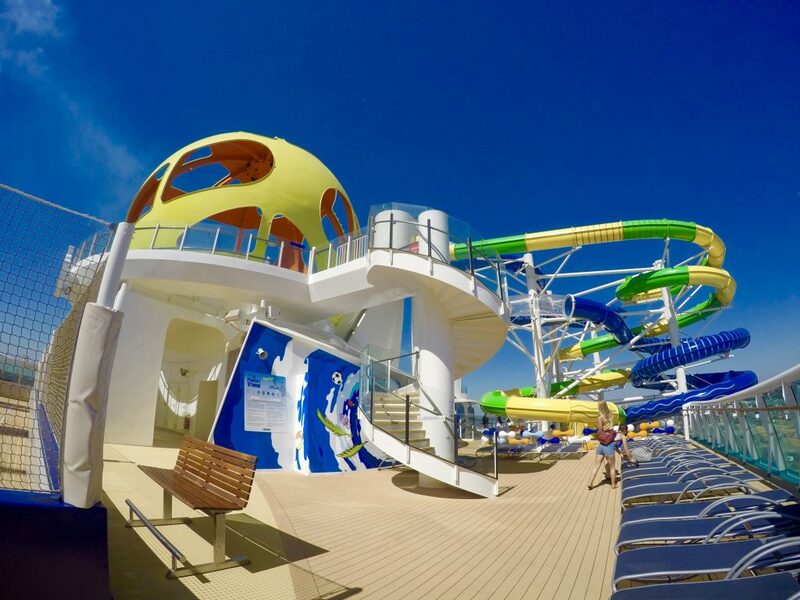 This is one of the biggest new additions on board Independence of the Seas. 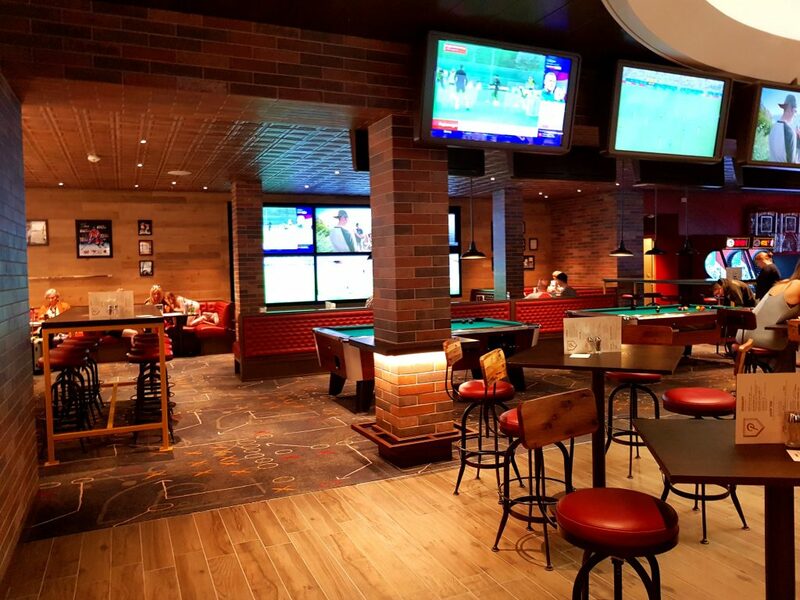 This vibrant American style sports bar serves bar snacks, craft beer and cocktails. Here are some examples of the snacks: popcorn shrimp, sliders, chicken wings and the Playmaker Burger. At the time there was football showing on the large screens, which proved popular. Star Lounge is the place to go for live music and karaoke at night. This Latin themed lounge looked really fun and I can imagine it gets very busy in the evening. You’ll find a host of Latin-inspired cocktails and dancing as well as a six-piece band playing Latin rhythms. Tucked away next to Izumi is Schooner’s Bar. Designed with a nautical feel in mind (think rope and sails), the bar is small but comfortable. It’s a great place for a pre-show or pre-dinner drink. A wine bar boasting a delicious array of wines from around the world. It also has a menu of light bites and sweet snacks. 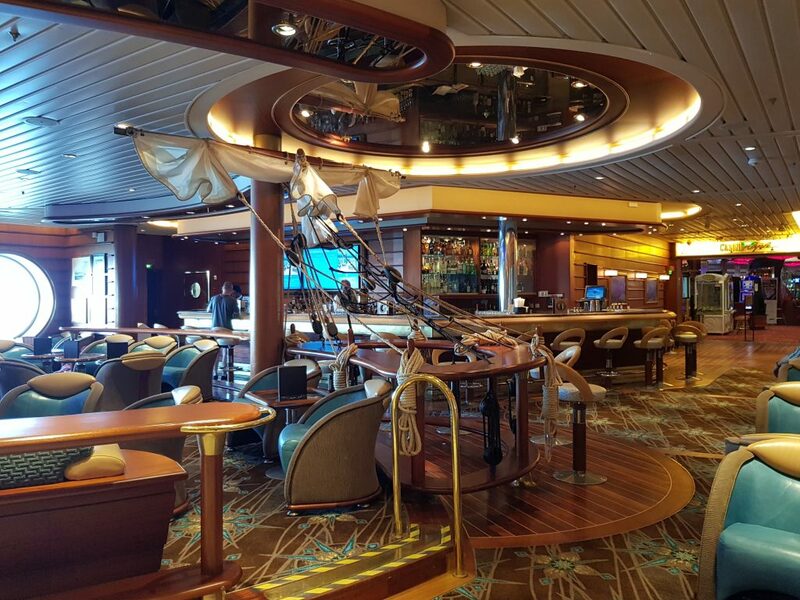 Royal Caribbean’s take on a traditional British pub offers live music and 40 different types of beer. You’ll find it along the Royal Promenade. This was my favourite lounge/bar on board. I loved the panoramic views across the open deck below. There was also plenty of seating and I am sure it’s a nice place to relax with a drink after dinner. Classic Soda Package– $8.50 a day per person (soda and refills in any venue, including Freestyle machines). Ideal for children. Royal Refreshment Drink Package– $26 a day per person (soft drinks only, including mocktails, bottled water, soda, premium tea and coffee and fresh orange juice). Deluxe Beverage Package – between $55-$65 per day per person (includes selected cocktails up to the value of $12, beer, wine by the glass, spirits, soft drinks and discounts on bottles of wine). Drinks packages are more expensive to book on board, so it is worth pre-booking before your cruise. These packages can be redeemed anywhere apart from room service and stateroom mini-bars. An 18% service charge is added on top of all drinks packages and individual drinks. Water, flavoured waters, cordial style lemonade and iced tea are included in the cruise fare. I’d heard a lot about Royal Caribbean’s ‘indoor shopping malls’ and I was a bit unsure about what to expect. I was pleasantly surprised by the Royal Promenade because it didn’t feel too big or noisy. You feel like you are walking along a street, lined with cafés, bars and shops and staterooms overlook the Royal Promenade either side. You won’t find a carousel or garden on Independence of the Seas and, quite frankly, I was pleased about this. The Royal Promenade was very pleasant to walk around and it’s a great place to spend time in bad weather. 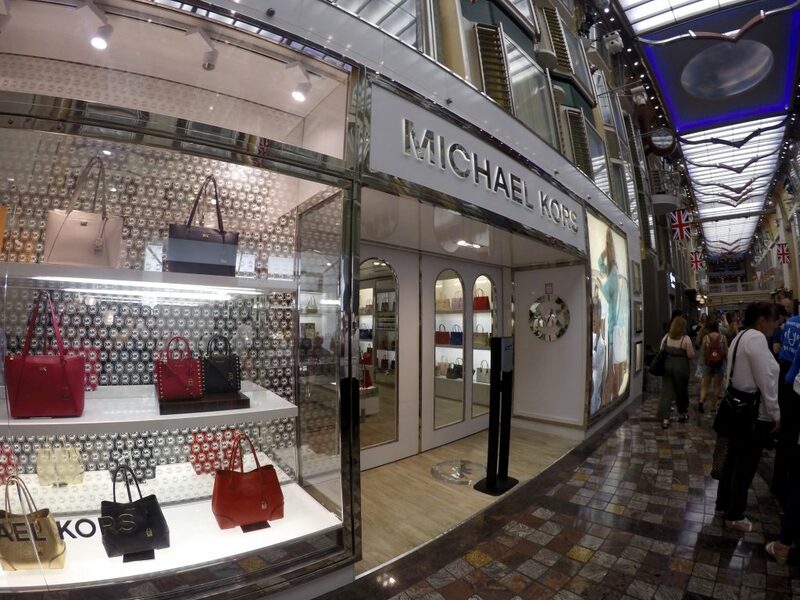 There is a mixture of shops and you’ll find designer brands like Michael Kors along with souvenir and jewellery outlets. Shops open from 5.30pm-11.00pm and I thought the selection on offer was much better than I’d seen on other ships. The Guest Services desk stands close to the entrance and you’ll also find the Shore Excursions desk nearby. The Royal Promenade was busy, which is to be expected on a turnaround day. 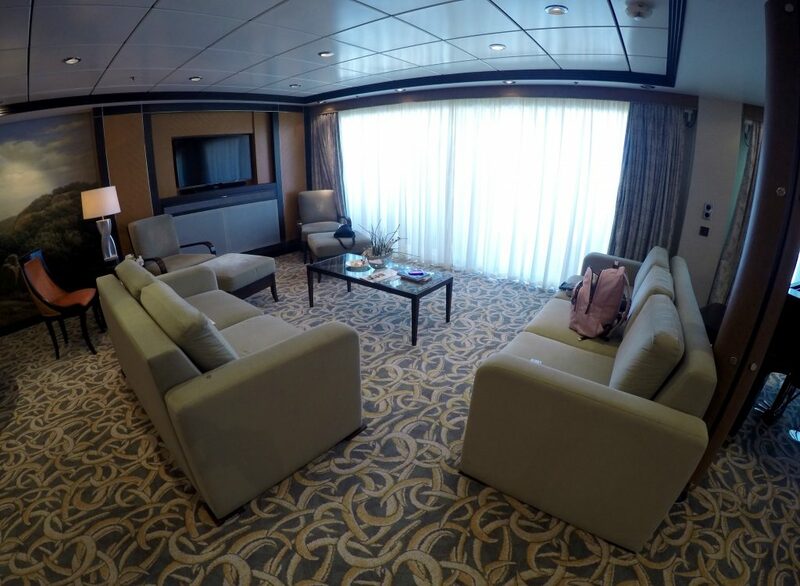 We had the opportunity to look in two staterooms – a Deluxe Ocean View Balcony and a Royal Suite. 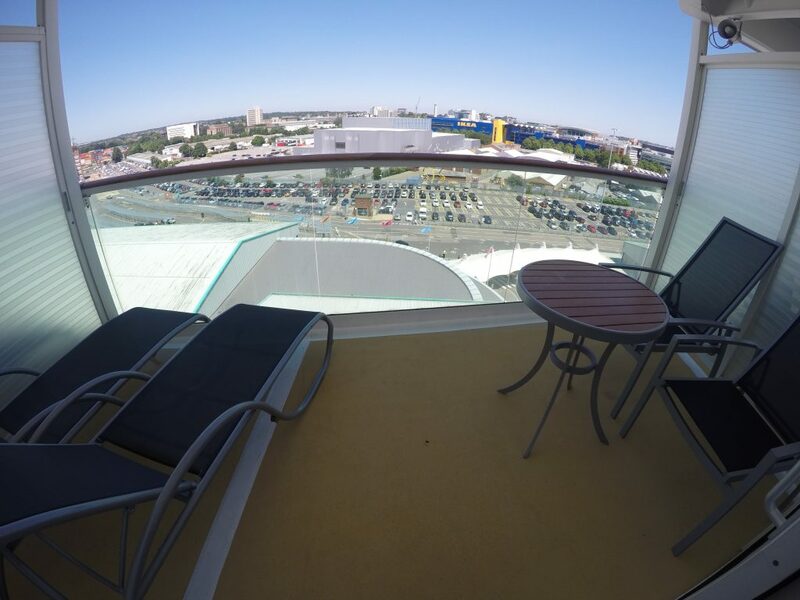 The Deluxe Ocean View Balcony was very spacious with a queen-size bed and a separate seating area. 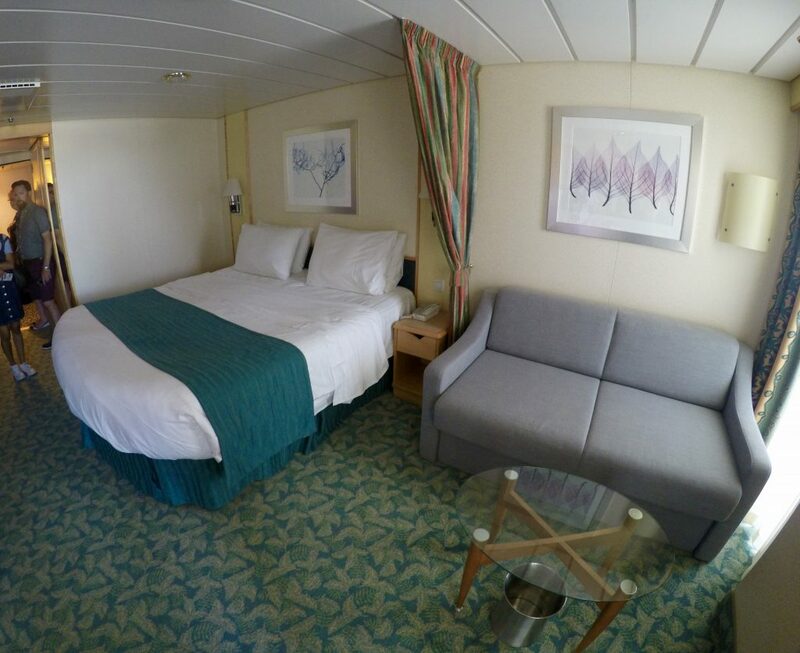 There was plenty of room to move around and I think it would be easy to spend a lot of time in this type of stateroom. 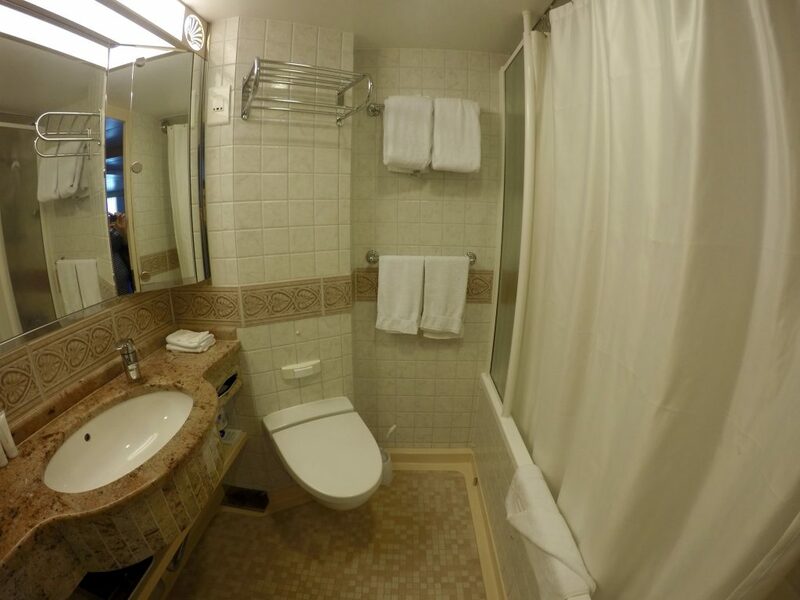 The bathroom was a comfortable size and included a bath with shower curtain. The balcony was a good size and consisted of a table with two chairs and two sunbeds. Amenities include an interactive TV with movies, luxurious bedding, a nightly turn down service and a safe. It’s worth me mentioning that this is quite a high grade of cabin, so it is not reflective of a standard stateroom. The Royal Suite was very impressive and incredibly spacious. 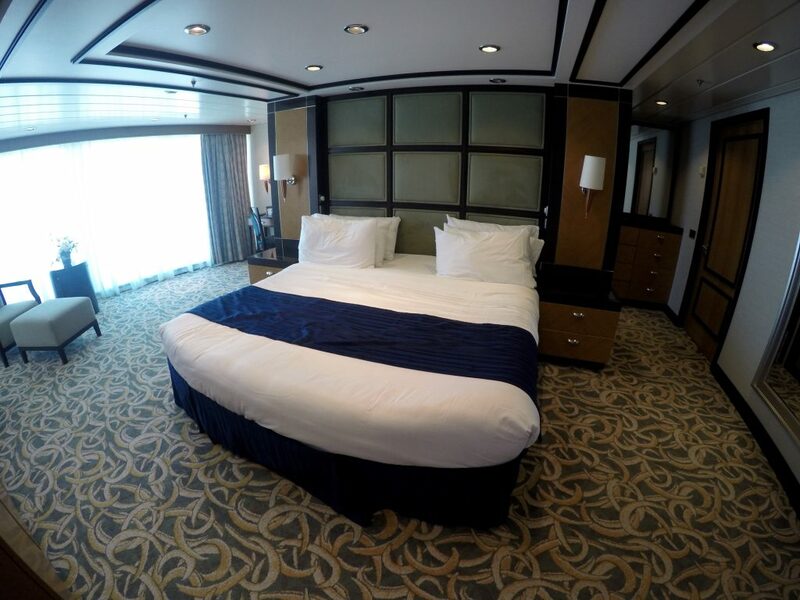 A large number of suites are situated on Deck 10 and there are many perks to booking this type of stateroom. As well as priority check-in and departure, guests get priority reserved seating for shows, complimentary room service and in-room dining, VIP pool deck seating, complimentary luggage valet service, priority tender tickets, bathrobes and pressing services on formal nights. 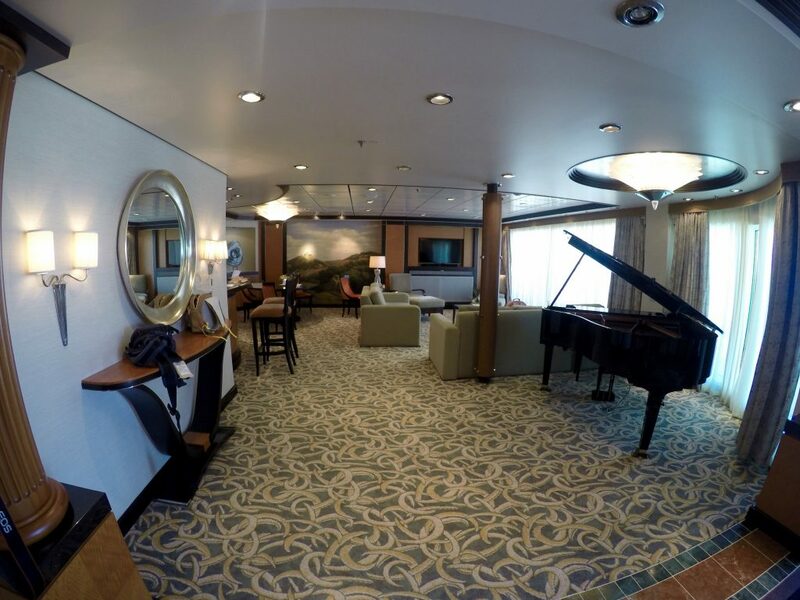 There is also access to the Concierge Club on selected ships. The Royal Suite certainly has the ‘wow’ factor. Upon entering you are greeted by a large open plan area comprising a lounge, a bar area and a piano. Its 1,406 square feet make it the perfect space for entertaining. The enormous bedroom features panoramic windows, a queen-size bed, a chair and footstool, separate dressing area and bedside tables. The toilet is separate to the shower and whirlpool bath. The décor is modern and tasteful and I really liked the fact that there was plenty of hanging space for full-length evening dresses. 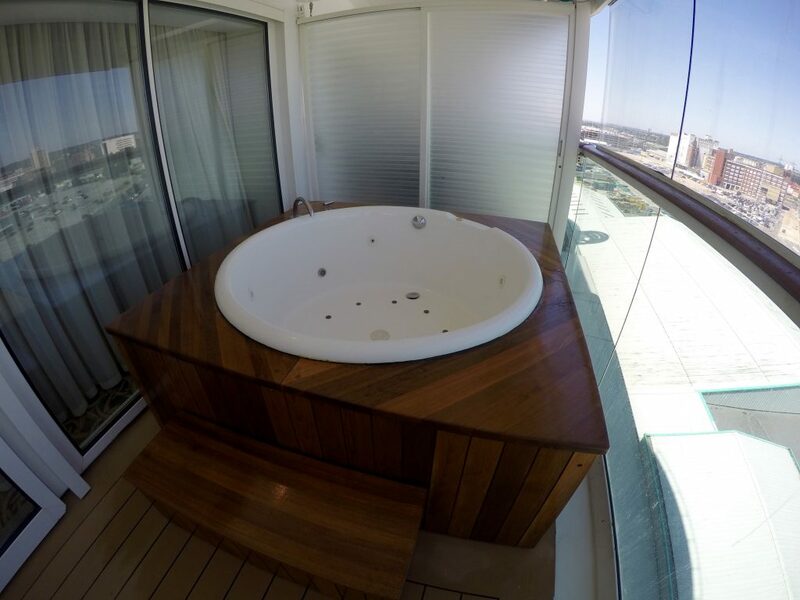 My favourite feature was the whirlpool hot tub on the 377 square foot balcony (yes really). There is also an outside dining area and two very comfortable looking sunbeds with tables. It was lovely to look around! 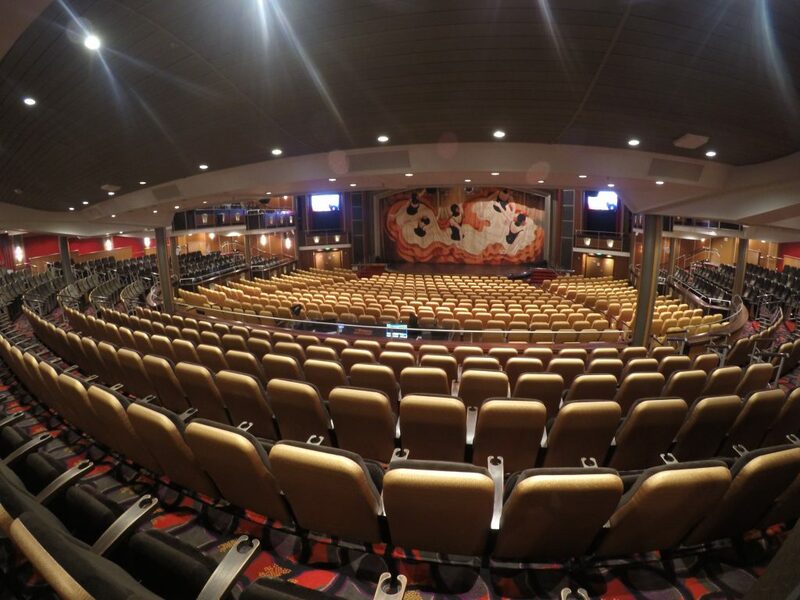 Independence of the Seas has plenty to entertain her guests, from Broadway shows and original productions to ice skating performances. The refurbished Royal Theater advertised two shows for the evening of 30thJune at 7.30pm and 9.15pm. The cruise line’s popular ice skating performances are staged in the Studio B ice rink on Deck 3. Other forms of entertainment include Laser Tag on Deck 3, which takes place on an inflatable glow-in-the-dark arena in seven-minute sessions. 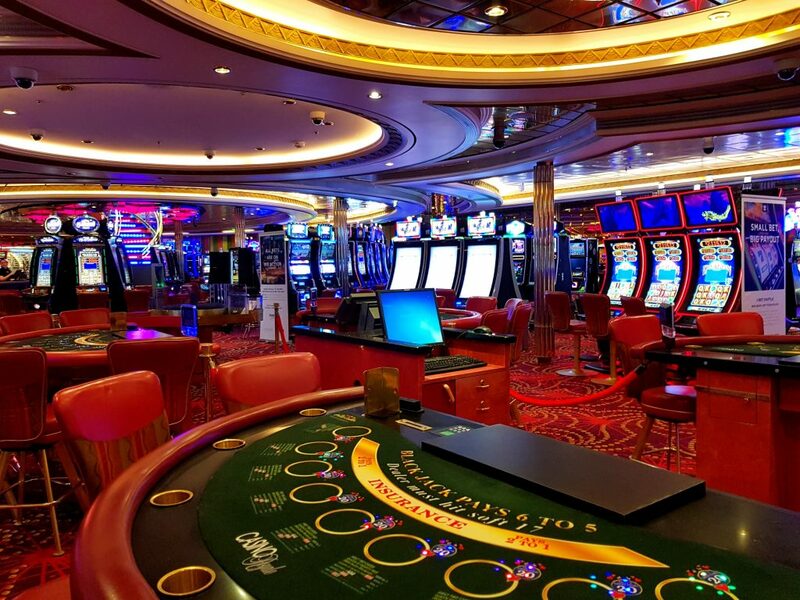 The large Casino Royale opens from 5.30 until late and is situated on Deck 4. Royal Caribbean’s kids clubs cater for children aged between 6 months and 17 years of age. If your child is between 6-36 months, you can take it along to 45-minute interactive playgroups. Alternatively you can drop them at nursery but a fee applies. Children aged 3 to 11 years are split into three groups – Aquanauts, Explorers and Voyagers. Staff put together a fun-filled schedule of activities for this age group, which could include backstage tours and sporting events. Adventure Ocean is the place to be for children aged 12+. Older teens are allowed to do slightly more adventurous activities like pool parties and karaoke and there is a teen only hang-out area. 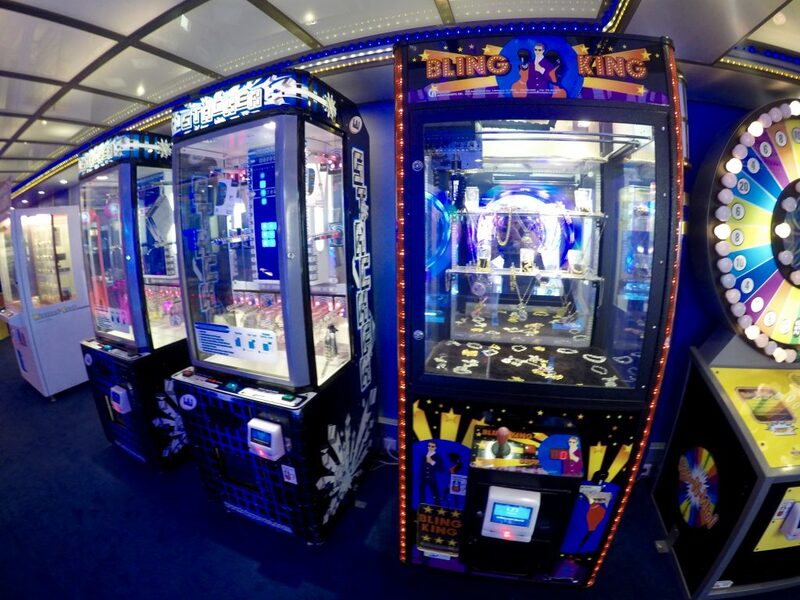 Kids (and adults) will love the Arcade, a large room full of arcade games such as Pac Man. As well as the outdoor water activities, sports court and climbing wall, kids can play a round of mini-golf. 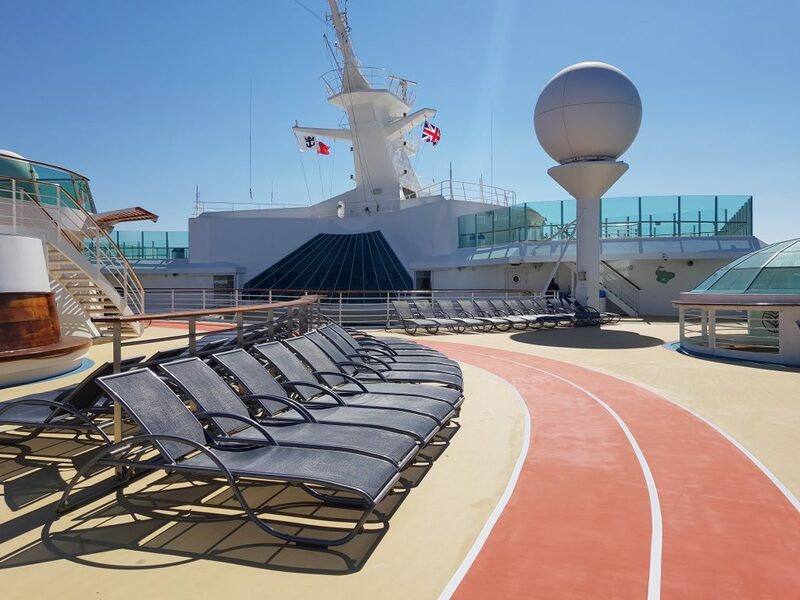 Unfortunately we didn’t get to see the spa or fitness suite, but there is a running track out on deck. 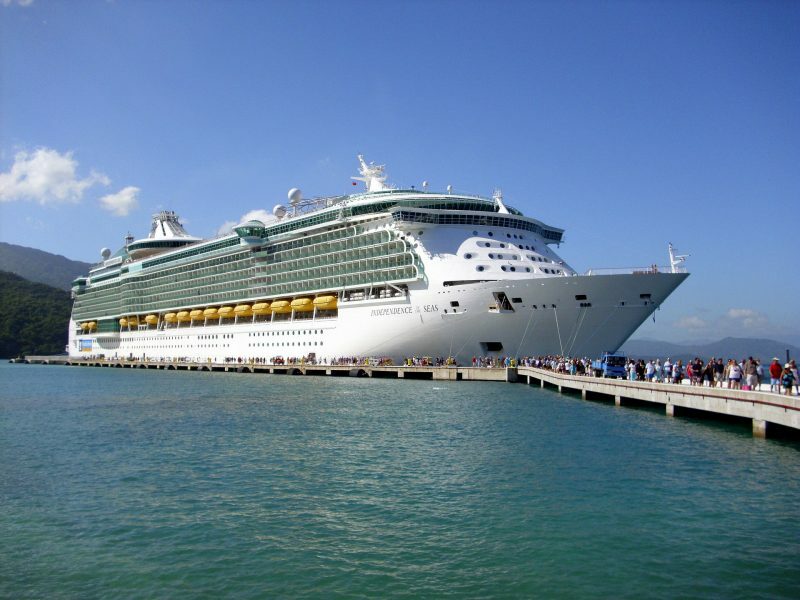 You can find a full list of what’s included in the cruise fare here. I really enjoyed having a look around Independence of the Seas, as it’s very different to any cruise ship I’ve been on in the past. If you have a young family, or are a young couple then there’s every chance you’ll love this ship. 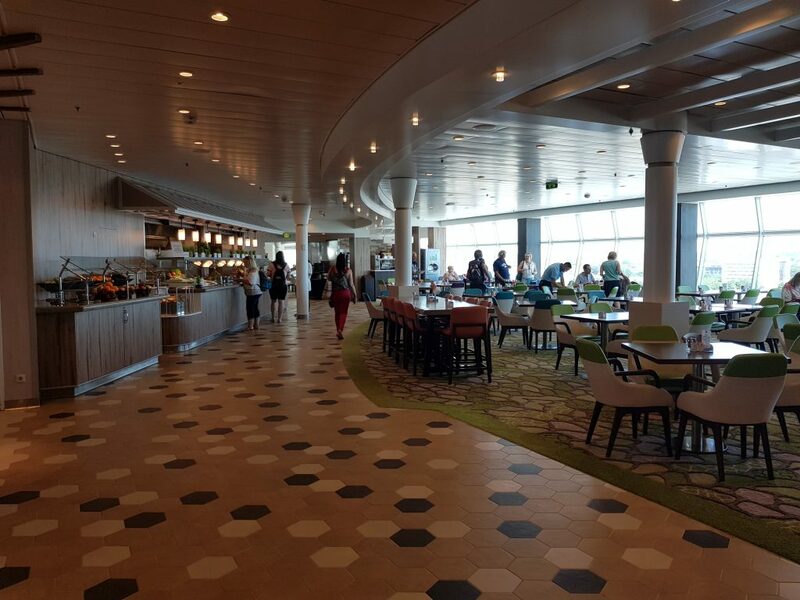 If you prefer a quieter environment that is less activity based and less crowded then you might be better trying a smaller Royal Caribbean alternative. 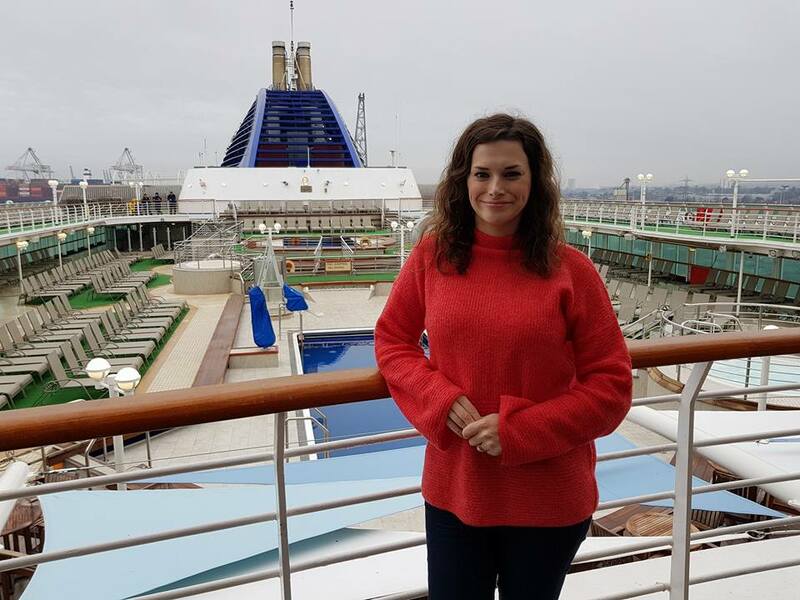 I personally didn’t try any of the on board activities due to time constraints and the fact that I am pregnant, but they were popular with guests. I sensed there were quite a few repeat cruisers having overheard some conversations on the day, but I know that Indy has a very loyal following. This was really nice to see. A vast number of guests were British, but I did hear American accents as well. The passenger base was very mixed but I did see lots of families aged in their 30s and 40s, and quite a few couples aged 50+. I obviously hadn’t seen the ship pre-refurbishment but I was impressed with all of the new features. There is so much entertainment that you’ll never be short of things to do. 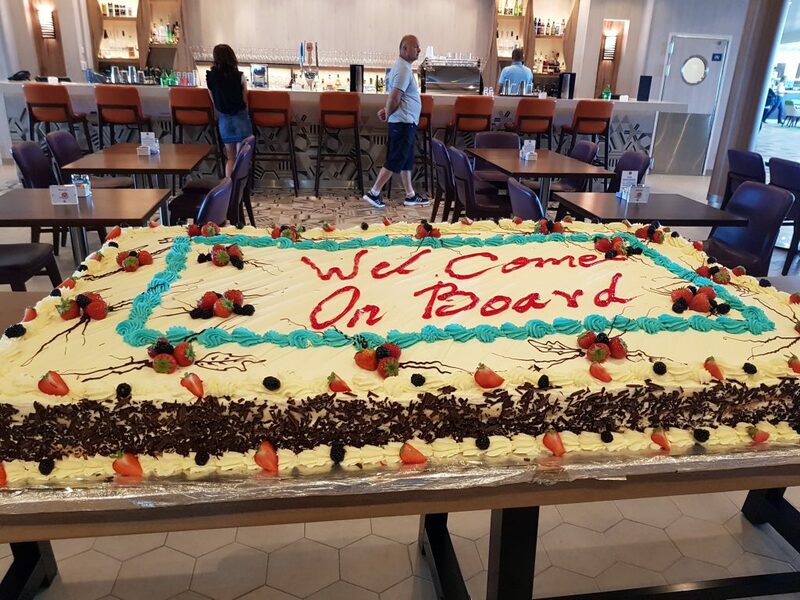 I would be really interested to have a look around another Royal Caribbean ship in the future and I am grateful to Melt Influence and Southampton Bloggers for organising the visit. 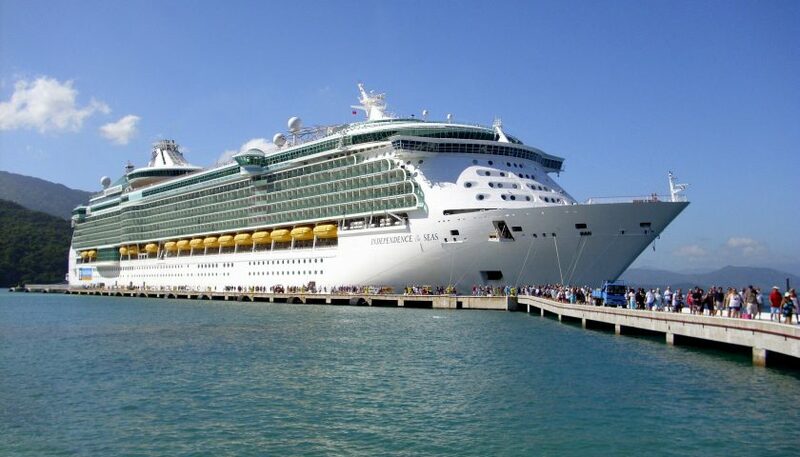 You can find out more about Royal Caribbean’s Independence of the Seas by following this link. 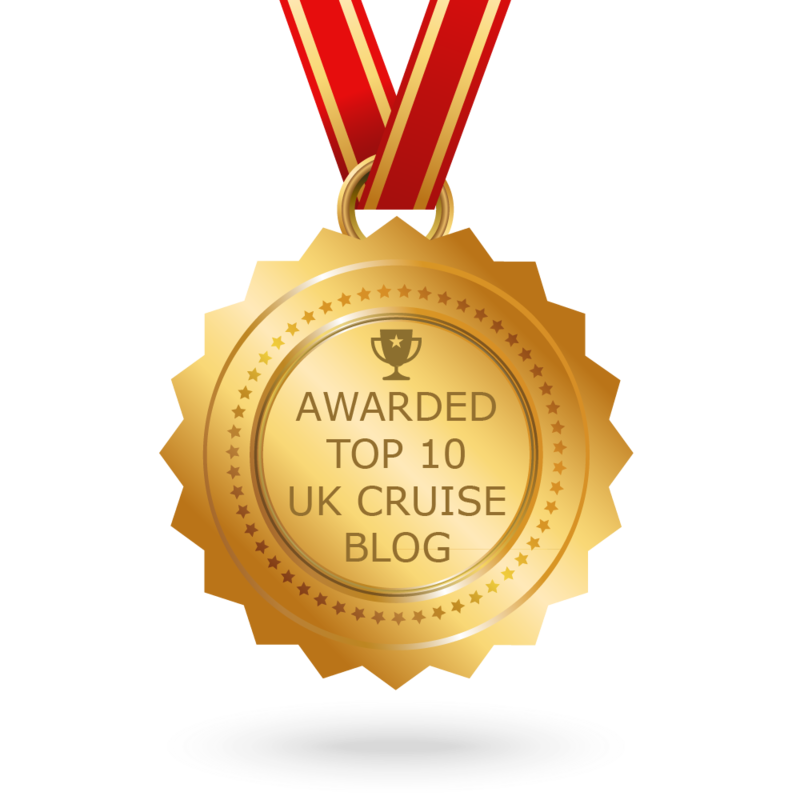 You can read more about Royal Caribbean on the ‘cruise lines and ship reviews’ section of this website. 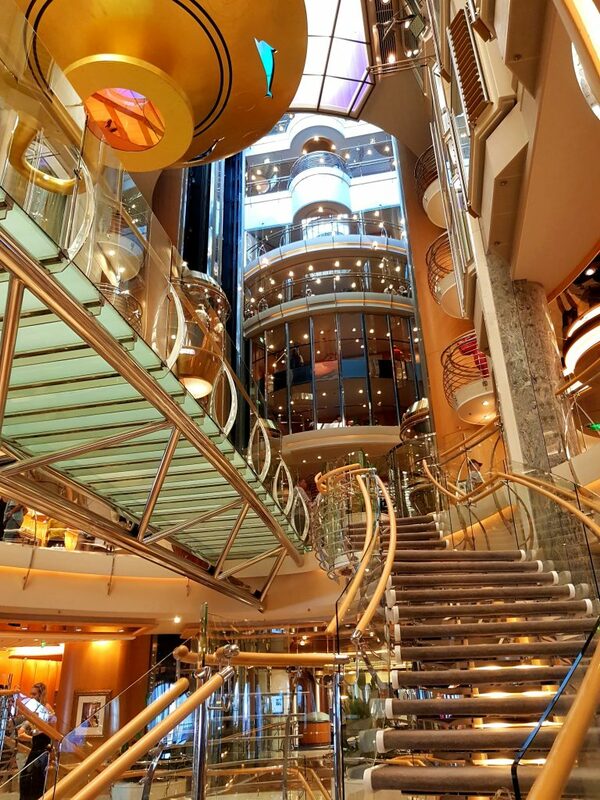 This post was brought to you in partnership with Melt Influence and Royal Caribbean, but all views are entirely my own. I try to provide honest and accurate information and I will always mentions cons, as well as pros, in my ship review posts. Your summary coukd partly explain why we are going off it after six cruise. We are in our 60’s and loved the Indy for it’s stylishness but now it’s cramped and so obviously aimed at families and the young. Thanks for helping us to make our mind up. Great review! I love the Indy. Going back on in August. Thanks Donna. I hope you have a lovely cruise! Thanks Victoria. She really did look good. This ship looks like it’s great for kids (big and small) the Royal Suite also looks amazing! Hi Laura. She is very family-friendly. I LOVED the Royal Suite. I could see myself relaxing in that hot tub! We cruised on her earlier this month with our two kids. We’ve been P&O loyalists but after this cruise, it’s Royal Caribbean or nothing. Indy puts P&O to shame. 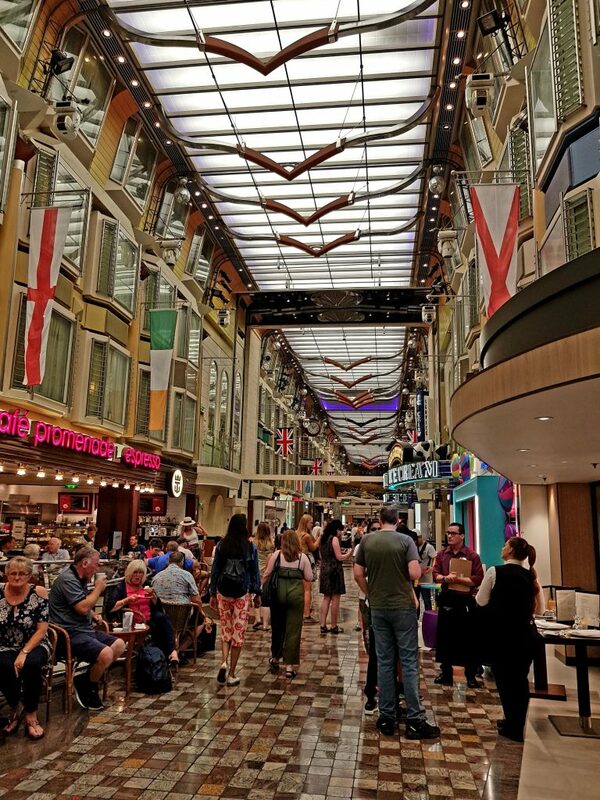 I’m confused what market P&O is after, I don’t get that with Indy, it’s fun, activities a plenty, and the Royal Promenade is amazing on party nights. We want to do more than sit reading books, do quiz’s and play shuffleboard during the day. It was fully booked when we went, but it never felt too busy. Our only mild negative was the windjammer, it needs more seats….but then again you could say that about every ship we’ve sailed on. It was also great having other nationalities onboard. Thanks for your comment. It’s great to see you enjoyed your time on Indy. It’s really interesting hearing your thoughts about the differences between P&O and Royal Caribbean, as I have cruised with P&O a lot. We are due to have a baby soon, so I would love to try out Indy’s kids facilities in the future. I have a friend who was also a P&O fan but now only cruises with Royal Caribbean. He loves Indy! Hi you mentioned “ Gratuities are charged at a rate of $14.50 a day for anyone staying in standard staterooms but these can be removed when you get on board“ do you not have to pay this then. If you choose to opt out then you don’t have to pay them. However many people opt out so they can tip who they choose in cash. 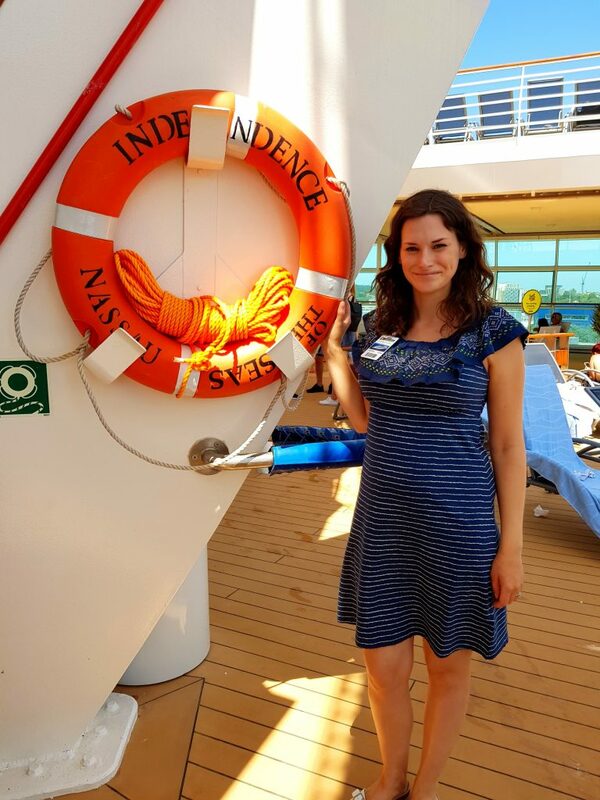 We recently spent our 3rd cruise on the Independence, and it will be the last. OK for families but not for older folks. 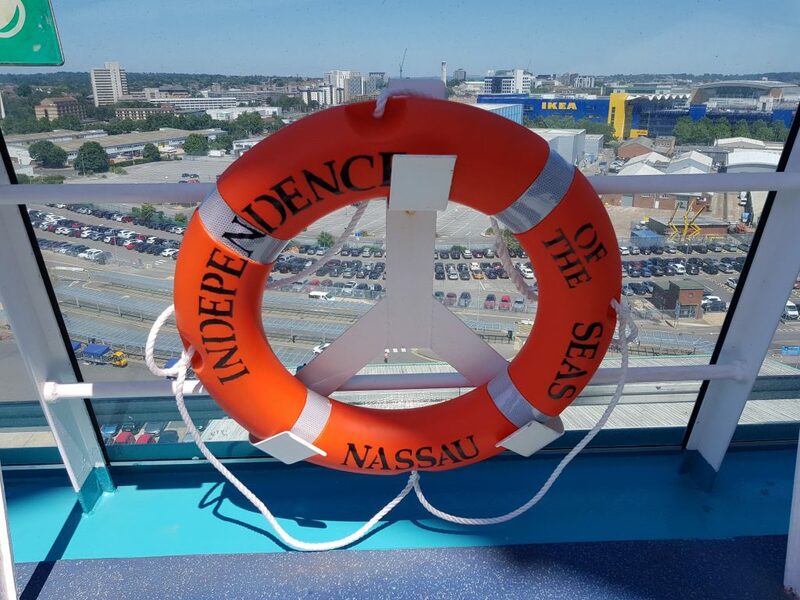 We love the Indy, was on her in June and the new features really set her apart facility wise compared to other cruise lines. We have manged to get a good early booking deal to go on Azura in 2020 with 2 children but not entirely sure we are looking forward to it after always being on the indy. I really like Azura and there is plenty to do on board. You just have to keep in mind that she is a different type of ship to Indy, with a much more British feel and less activities. I will be writing a review on her over the coming weeks.